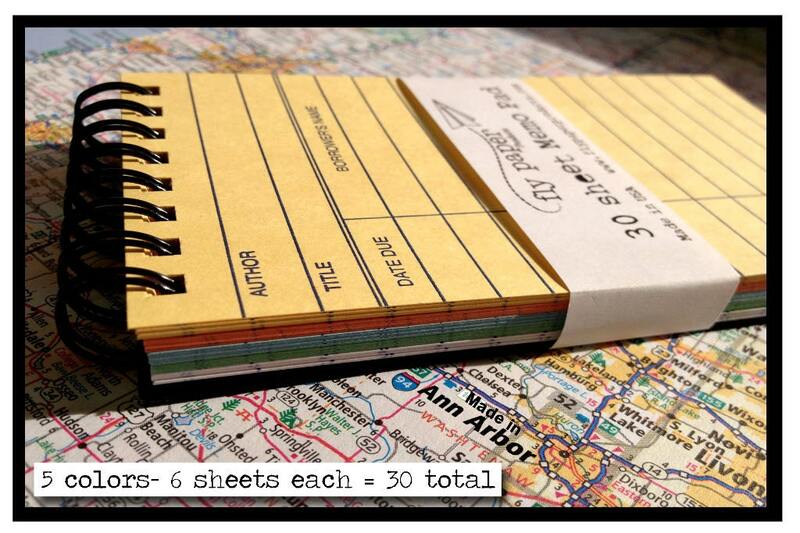 Each Memo Pad contains 30 sheets of assorted color vintage library cards to write your memos, notes, lists, thoughts and ideas. There are 6 sheets of five different colors, blue, green, yellow, salmon and white. 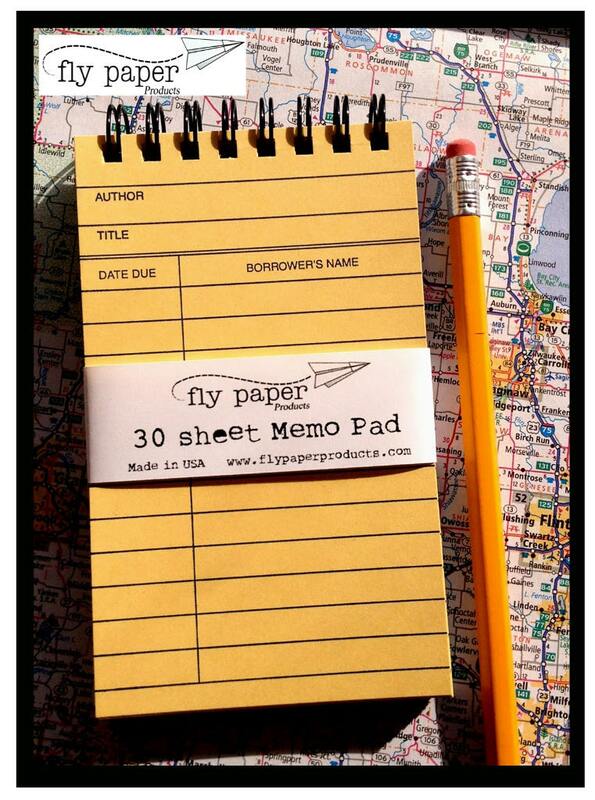 The memo pad measures 3" w x 5" h x 1" d and makes a great travel size to through in a purse or backpack. 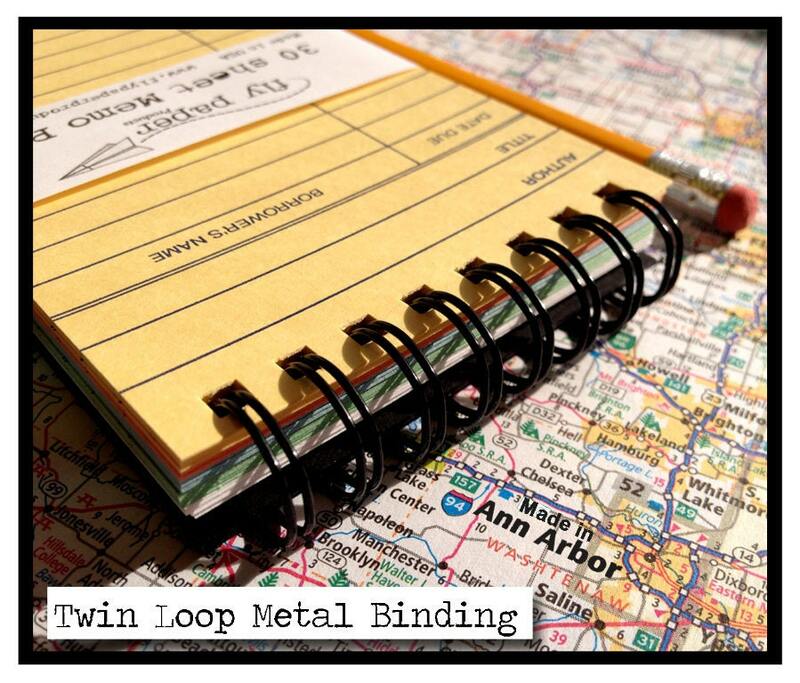 The memo pad is bound together with a black twin loop binding and rigid back chipboard is used for the backside.